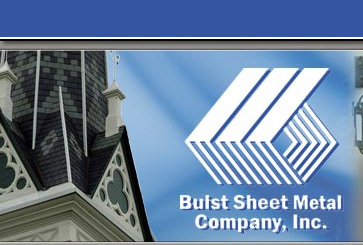 Buist Sheet Metal Company Inc. Welcome to Buist Sheet Metal Company, Inc.
Buist Sheet Metal Company is a specialty architectural sheet metal contractor, providing quality and craftsmanship to our customers for over 65 years. We specialize in custom standing seam metal roofing, slate and clay tile roofing, and custom copper work. Our work can be seen on many notable commercial and residential projects throughout West Michigan.